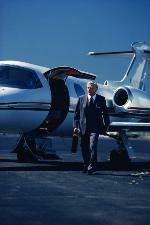 Private Bankers provide personalized service to High Net Worth Individuals (HNWIs). Their services include a variety of financial services, including traditional banking services, asset management, brokerage, etc. They generally take active control of these aspects, allowing their clients to relax and take a passive approach to such financial decision making. Many HNWIs have accumulated so much wealth, that they can be compared with many small to medium size organizations in themselves. They require many other related financial services like looking for new investment opportunities, access to growth capital, business consultancy, cross-border tax advisory, etc. However, as a Private Banker, it is best for you to concentrate on what you specialize in – Managing HNWIs and providing exquisite banking services, including asset and portfolio management. You can leave the execution of your clients' equity capital raising and other requirements to us, based on our proven Capital Matchmaking and Ownership succession expertise. Above all, given the competitive market conditions, it is getting tougher for you to win new clients. With the help of our V4G Partnership Alliance Program, you can keep track of latest industry trends, establish a direct connection with top line industry professionals, generate new client leads, and reach new heights in your career. Apply now to be considered for the V4G Partner Alliance Program. You just need to fill out a short form to get started. Join us today as a preferred Private Banker and get closer to expanding and strengthening your business.